Andy Young had a huge day at the plate with four hits and three RBI, Jeremy Martinez plated two and Connor Jones tossed two scoreless innings. However, Surprise pitching was bad overall, leading to a 21-8 Thursday defeat. Results from the game played Thursday, October 25th. Andy Young’s four-hit performance could not prevent another loss by the Saguaros, this time a 21-8 drubbing by the Desert Dogs (4-10). Surprise (5-9) has now lost five straight and eight of their last nine. Young led his team with four of their 14 hits overall, going 4-for-5 with a double and solo shot that was one of his two runs scored and three RBI out of the five hole. 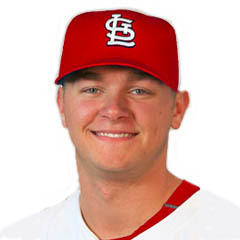 That effort broke the North Dakota native’s mini-slump of 0-for-5 over his most recent two starts and gives him a .387 batting average, good for third in the league. Defensively, the second baseman took part in two double plays and was charged with his second miscue, a throwing error that did not impact the final score. 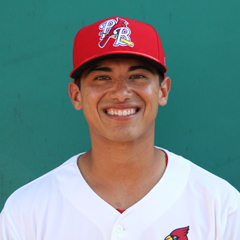 The Cardinals’ only other representative in the batting line-up was Jeremy Martinez, who caught and batted eighth. 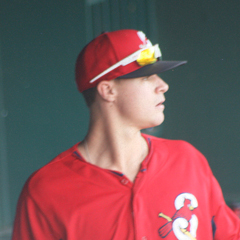 The 23-year-old’s only hit in four at bats came in the Saguaros’ four-run eighth, a two-run single driving in Young and Cole Tucker (PIT), who opened the frame with consecutive singles. Martinez eventually scored on a two-run single by Khalil Lee (KC), which cut Surprise’s deficit to 10-8 after eight. But that is as close as the home team got, thanks in no small part to some truly egregious pitching efforts, especially at the beginning and end. Lefty Shawn Morimando (L, 0-1) (TOR) did not finish the first, surrendering six runs on five hits while plunking two and recording just two outs. It was quiet on the pitching front over the next 3 1/3, thanks to the Blue Jays’ Jackson McClelland and St. Louis’ Connor Jones. McClelland retired four batters, three on strikeouts, gave up a hit, walk and hit batsman while stranding one of two inherited runners. Jones bounced back from a horrific outing against Salt River on Monday, tossing two scoreless frames with two strikeouts and two hits yielded. Five more Surprise relievers took the mound over the game’s last five innings, none out of the Cardinals’ organization. The contest remained competitive until the ninth when two Rangers’ prospects combined to serve up 11 runs. Southpaw C.D. Pelham was charged with seven runs on four hits and three walks in 2/3 of an inning, the last three runs crossing home with Joseph Kuzia on the mound. Kuzia allowed four tallies on five hits and a base-on-balls before retiring the final batter. It was Kuzia’s Arizona Fall League debut, not a day to remember, however.